It’s All About Two Wheels! 31st August 2014, Kuala Lumpur – The inaugural International Motorcycle Festival (IMF) was officially launched two days ago at a press conference held at the Hard Rock Café in Kuala Lumpur. Our team from wljack.com & loong-updates.blogspot.com were given a chance to do a coverage on the press conference of the exciting event. International Motorcycle Festival (Malaysia) 2014 is a highly anticipated and massive 3-days festival which targets to become an annual celebration for motorcycle enthusiasts. It is going to be held at the Bukit Jalil Open Car Park from 19th to 21st December 2014. 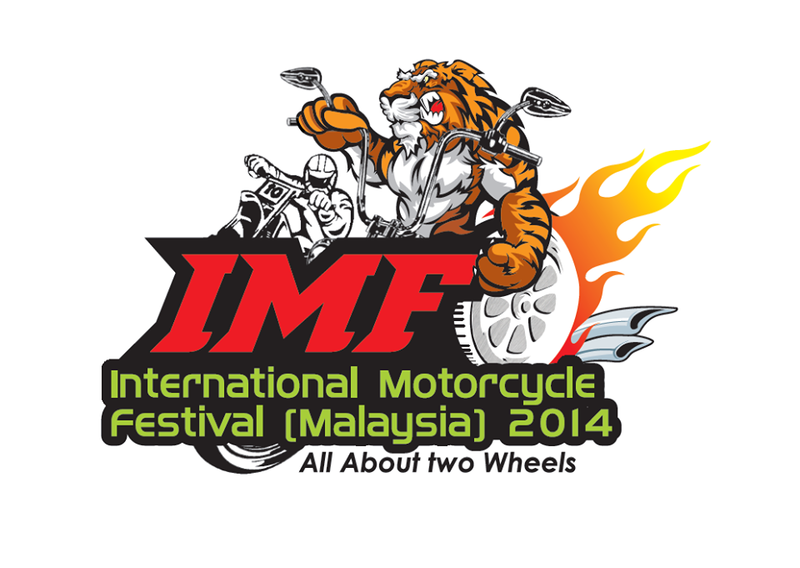 IMF 2014 which is a festival for bikers by bikers, is organized by DMEO Exhibit Sdn. Bhd and is supported by Tourism Malaysia. It is expected to be the Largest Open Biker Festival in Malaysia and it is hoping to attract 80,000 to 150,000 visitors from Malaysia, Singapore, Thailand, Indonesia, The Philippines, Taiwan and more. The first EnduroCross Race (Friendly match) in Asia will also be incorporated as part of the main attraction during IMF 2014. Expect some of the best riders from the world to be heading to Malaysia to compete. A custom built motocross track will be laid out for the race, which will be managed by experienced race director Colin Robin. The Galleria, a one-stop retail hub is also another key element of the festival. It will boast over 250 plus booths featuring a vast variety of motorcycle related products and services with bargains galore. There will also be a variety of exciting activities including an outdoor bikers gathering, Supermoto bike stunts, wheelie simulator, bike shows, riders’ workshops, a flamboyant rock concert featuring the who’s who in the industry (full lines up will be confirmed later on), an ambassador search, lucky draws and retail of premium items and a large food & beverage section featuring a wide range of local and international delicacies. Organized by IMF & Xtreme Biker, thousands of bikers will also be convoying from Singapore and Thailand will educate bikers on bike safety & maintainence checks, safety clothing, safe riding techniques, road safety practices, riding tips from experienced and expert riders, as well as sharing sessions. As a prelude to IMF 2014, there will also be an ongoing nationwide RIDE RIGHT with IMF (Celebrities and Street Bikers) Campaign leading up to the festival, which will feature group rides, biker and celebrity interviews among other things. The campaign and also the festival open up opportunities for companies to promote their brands and interact with their potential customers, as well as develop a sense of community with festival attendees in a fun, interactive and sincere way. IMF 2014 will run from 10am to 10pm daily. Admission to the festival is free and entry tickets will be available at the venue; however, advance tickets can be obtained from BHPetromart with purchase of selected products and will entitle BHPetromart customers to an exclusive lucky draw. Prizes offered will include BHPetrol vouchers, premium helmets, sponsor’s premium and all type of limited edition freebies. The admission is by tickets which are free. Apart from being free, there will also be a lucky draw. So do remember to fill up the details on the tickets and stand a chance to win some really cool prizes! A lucky draw was done during the press conference itself and some of the lucky media members were lucky enough to grab a Nokia Lumia 530 as their lucky draw prize. DMEO Exhibit Sdn Bhd is proud to announce that over 65 % of the booths at the festival have already been booked during the pre-launch, and the remaining booths are expected to be all taken up pretty quickly after the official launch. DMEO Exhibit is a member of Taikun Holding. Taikun Holding group of companies operates 6 sales offices, 2 factories & employs over 180 employees. Its major businesses include manufacturing, marketing & sales of exhibition, show contractors, event management, display products development.